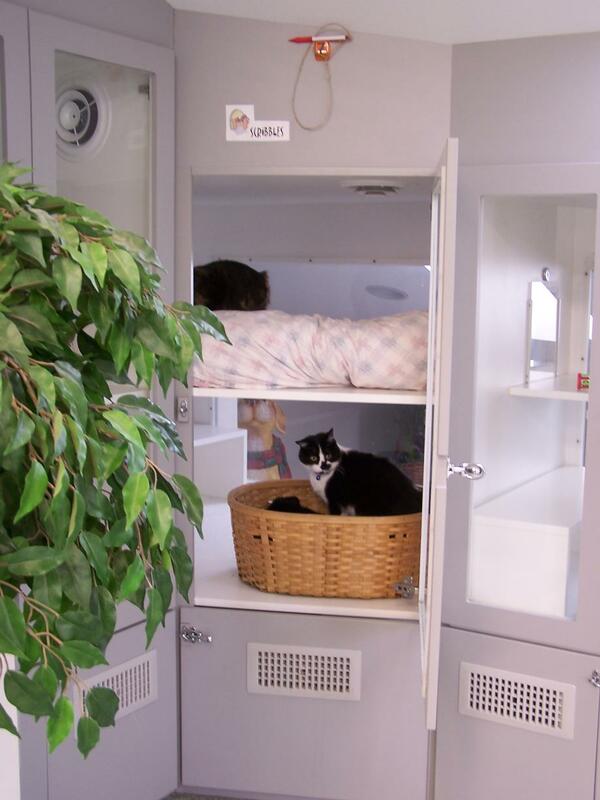 Our cat facility offers your cat the ability to relax in the most laid back area of the resort. 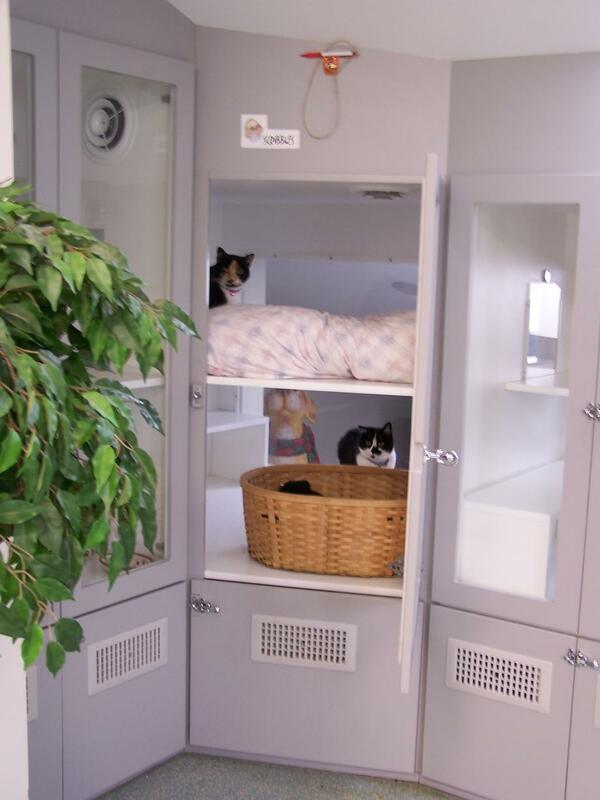 Located on the second floor of our main office, each cat condo various in size from 3' to 4' wide and 6 feet tall with numerous floors for your feline friend to climb up and down as well as private bathroom facilities. 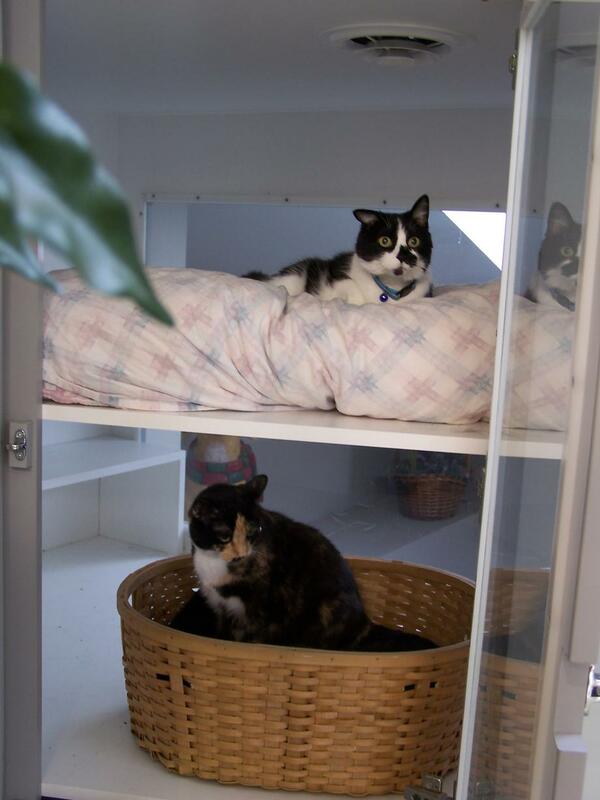 Various sizes are available and condos can be connected for extra living space for multiple cats. 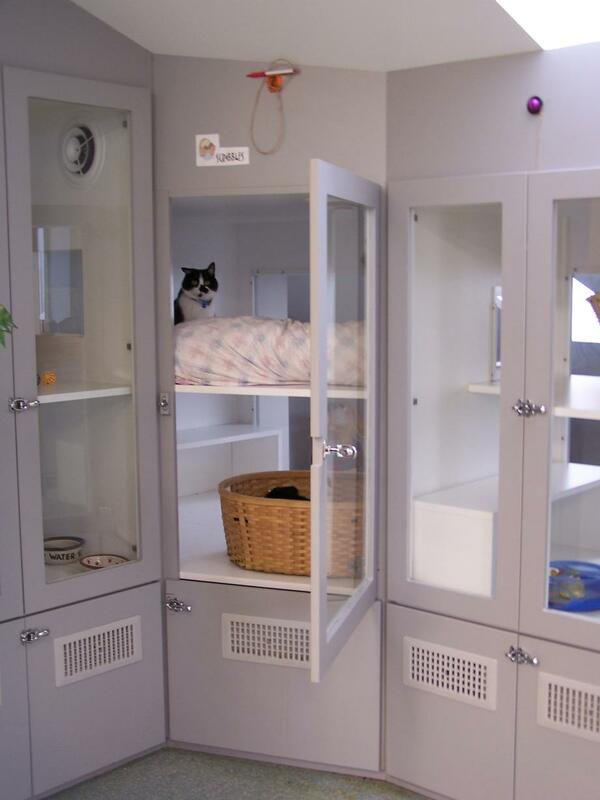 The cat room boasts windows to look out of and relax in front of as well as numerous toys and scratching posts to climb to keep them occupied. Each cat has their very own Quiet Time bed to sleep on. The cats are let out into the play area during the day for some free play time. 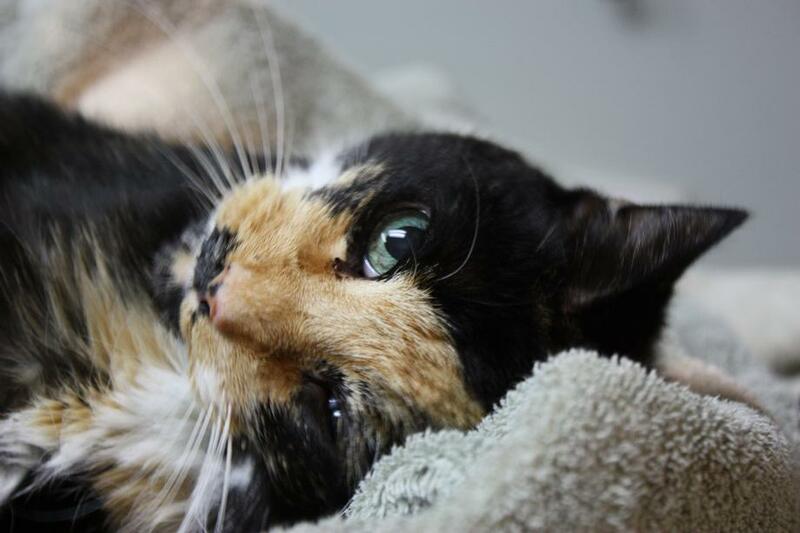 We provide food, water, bowls, a litter box, and kitty litter. If you'd like to provide your cat with food and accessories from home, you may. We provide the litter box. 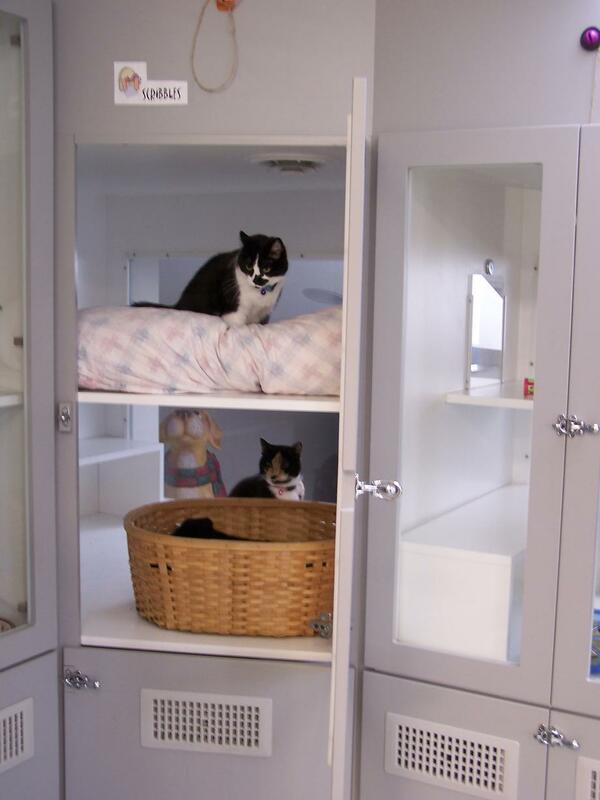 All cats boarding in our kitty condos must be current on yearly vaccines including rabies, FVRCP (feline distemper) and Feline Leukemia testing & immunization. We welcome visitors! 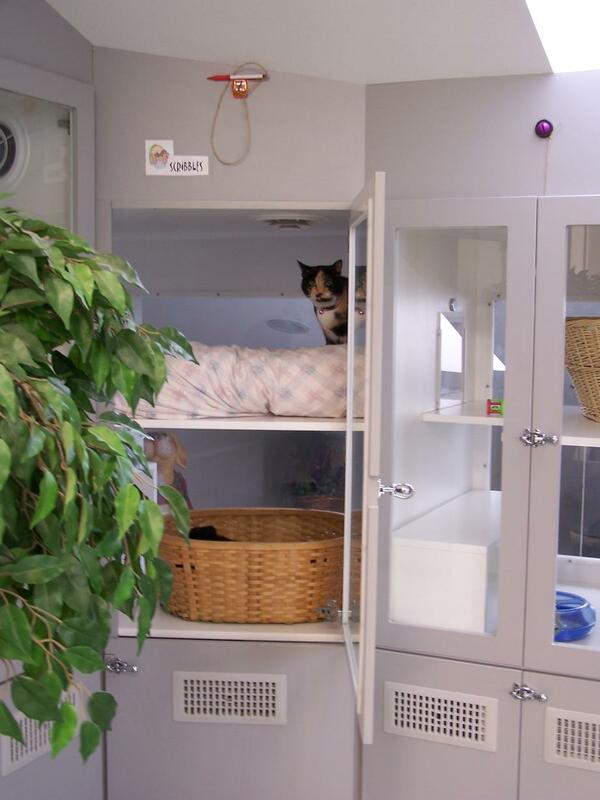 Tours of our kitty condo boarding area are Tuesday during our boarding hours.